It's been over a month since Christmas but considering I just finished packing up my decorations this morning, I figured it wasn't totally too late to show what was under my tree this year. I really like writing these posts because I like the memories that are associated and looking back at the years that have come before. There's like a secondary rush of gratitude which is nice as well. Usual disclaimer; just showing some of the cool stuff I was lucky enough to get. Not bragging in any way. While I was in Germany, I mentioned in passing to my mum how my art teacher at school had told me not to draw. It wasn't my area. I spent a lot of time with my hands covered in clay while she taught me and I loved it. But I always kind of wished I had drawn, at least a little. Especially after seeing Chris Riddell in Summer. 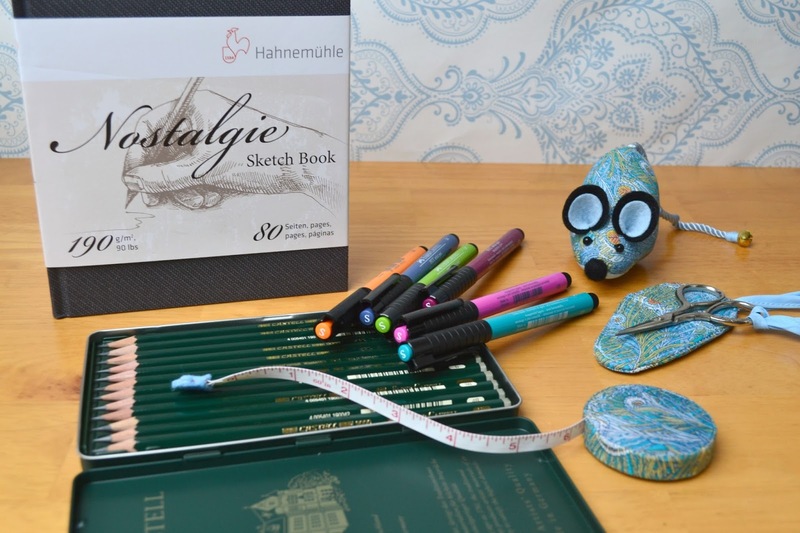 Somehow Santa found out and I now have some fancy drawing pencils, pens and a sketch book! And since it wouldn't be Christmas without something Liberty print in my stocking; the cutest pin-cushion mouse that ever existed, thread scissors and a tape measure. Santa really wants me to be crafty in 2017. Books! Glorious Books! Gladly added to my shelves are The Ladybird Book of the Zombie Apocalypse, F*ck You, 2016 (a gift from my best friend because seriously- f*ck 2016! 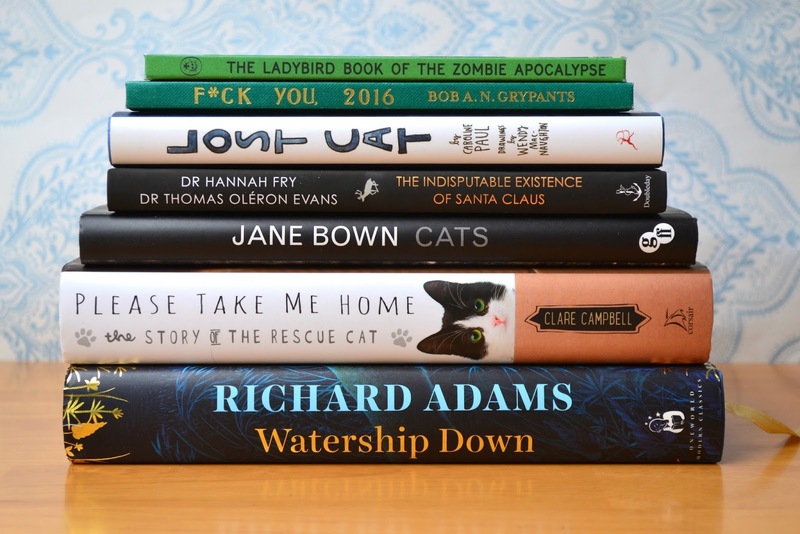 ), Lost Cat by Caroline Paul, The Indisputable Existence of Santa Claus, Cats by Jane Brown, Please Take Me Home: The Story of the Rescue Cat by Clare Campbell and a b-e-a-uuuutiful illustrated copy of Watership Down by Richard Adams. I totally spoiled myself when I picked up my mums phone to play a game of Tetris and found a text from my brother telling her he was buying me Pokémon for Christmas. My bad! I just need to finish Alpha Sapphire and I'll be right into this one, Lauren's review has me super excited. 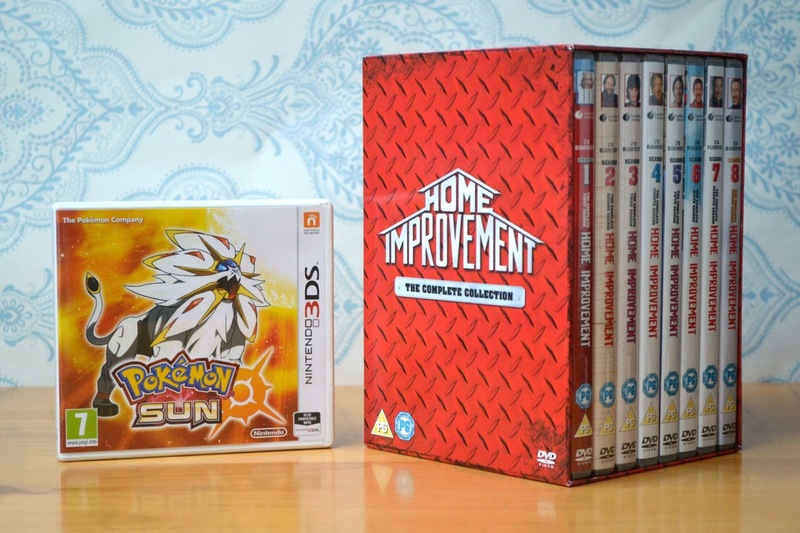 I asked for the Home Improvement DVDs. I loved that show when I was a kid and you just can't find a good version of it online. I really want to just dive in but- self control prevails. I'm saving it for my week off in summer, not that it has stopped me doing the Tim Allen Grunt whenever I catch sight of my snazzy new boxset. And chocolate, of course! 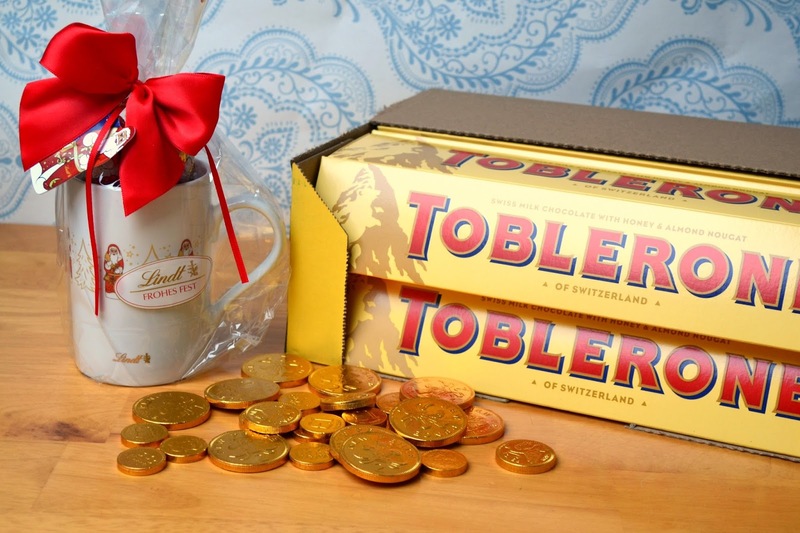 My new Lindt mug is a welcome addition to my collection and the chocolate Santas were a welcome addition to my stomach. 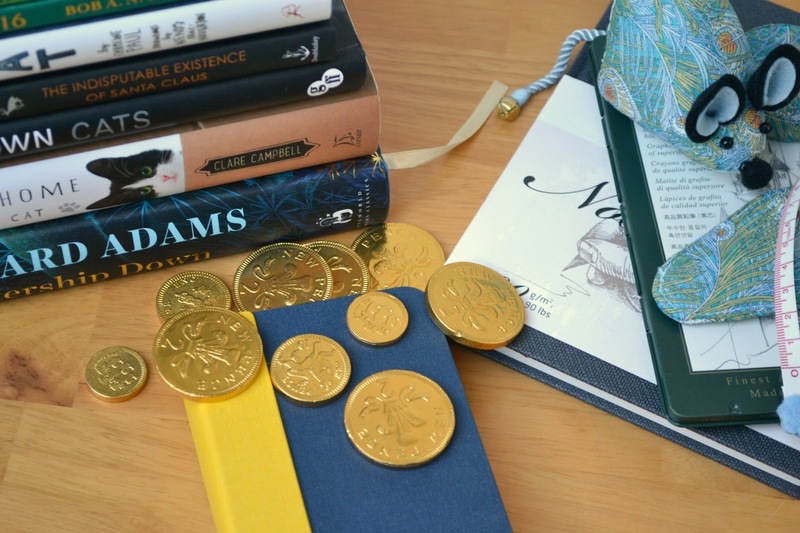 Chocolate coins are a classic. And my dad knew I was really upset about the new Toblerone so he got his friend at the newsagents to hook him up with a box of ten of the old versions. 2017- possibly the year my heart explodes? We'll see! What did you get for Christmas? Can you even remember? 30 Before 30: Three Years On! 6 Reading Goals for 2016: One Year On!